There is a good standard of Business Hotels in Nagoya offering 3 and 4 star accommodation. Jodoh is located right next to Nagoya. Within Nagoya are numerous budget hotels starting from 100,000Rp (US$8) per night. 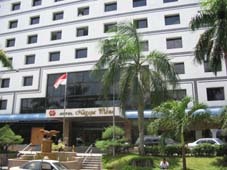 Hotel Grand Palace is a fully air-conditioned hotel located in the centre of Nagoya, walking distance to the Entertainment district. 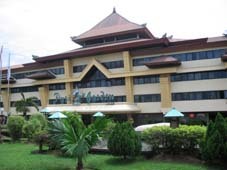 Prices from 100,000Rp per night (US$8). 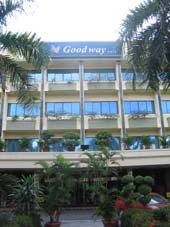 Click here for hotel picture, prices and contact details. New Star Hotel is a small budget hotel in Nagoya. 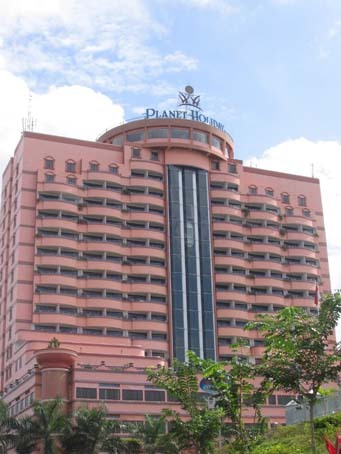 Prices from 120,000Rp per night (US$10). 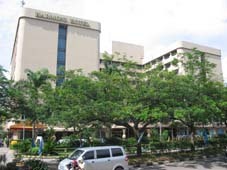 Click here for hotel picture, prices and contact details. Orion Hotel located right in the centre of Nagoya close to shopping and the entertainment district. Room prices from 120,000Rp per night (US$10). 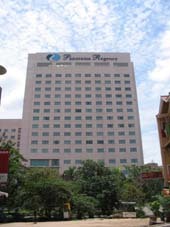 Click here for hotel picture, prices and contact details. 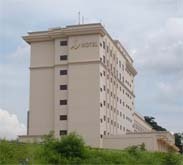 The majority of beach resorts are located in Nongsa on Batam. From Singapore the quickest way to get to these resorts is from the Tanah Merah Ferry Terminal which goes directly to the Nongsa Pura Ferry Terminal in Batam. Tering Bay Resort is a beach and golf resort with the Tering Bay Golf Club right next door to the resort.